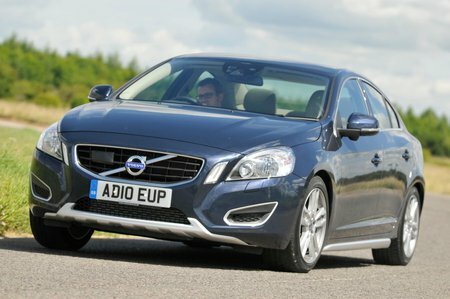 Volvo S60 Boot Space, Size, Seats | What Car? There’s plenty of space for front occupants, thanks to generous head- and legroom. Rear room isn’t as good, and the diving roofline means passengers will have to duck a little to get in, but moderately tall adults should be able to endure longer trips without too many complaints. The sculpted rear bench makes life rather uncomfortable for a central rear passenger, however. The S60’s boot is a useful size, but it’s significantly smaller than those of key rivals such as the BMW 3 Series. The opening is large, however, while the split-folding rear seats make it easier to carry longer items. Barring R-Design and Cross Country models, the S60 also gets a forward-folding front passenger seat that can be used to further increase space. Browse the S60’s brochure and you’ll find a host of practical options, including a roof box, bike carrier, a load bay liner and a detachable towbar. No S60 gets a spare wheel as standard, although one is available for a small outlay.